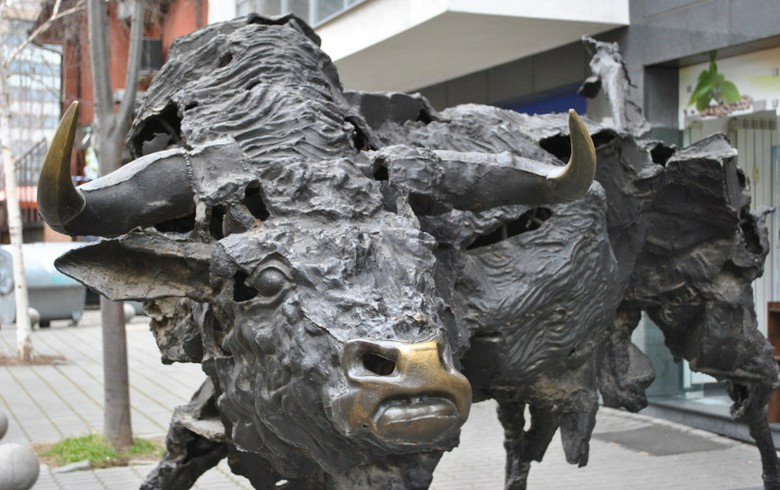 SOFIA (Bulgaria), February 11 (SeeNews) - The BGREIT index, which tracks real estate investment trusts listed on the Bulgarian Stock Exchange, ended Monday's trading session 0.06% higher at 120.71 points and is now sitting just 0.3% shy of its all-time high. Bulgarian Real Estate Fund REIT [BUL:5BU] gained 0.53% to 1.88 levs on Monday, which was partially offset by a 0.25% decrease in the share price of Advance Terrafund REIT [BUL:6A6]. The benchmark SOFIX index, which tracks the most capitalised and traded stocks on the exchange, closed 0.31% lower at 573.40 points, as eight of the fifteen blue chips ended in red. Diversified group Stara Planina Hold [BUL:5SR] fell most among blue chips - by 1.63% to 6.05 levs, followed by battery maker Monbat [BUL:5MB], which shedded 1.30% to 7.6 levs. The wider BGBX40 index, which follows 40 stocks, gave up 0.17% to 114.31 points, largely due to a 7.80% drop in the share price of cables maker Emka [BUL:57E]. The BGTR30, in which companies with a free float of at least 10% have equal weight, advanced 0.26% to 493.12 points. The most notable gainers among BGTR30 members were diversified groups Doverie United Holding [BUL:5DOV] and Synergon Holding [BUL:6S7], which ended 8.47% and 4.95% higher, respectively. Earlier during the day, Doverie United Holding said that its unit Riton-P has repurchased and cancelled 871,742 own shares, cutting its capital to 294,182 levs. Also on Monday, Synergon Holding announced that its unit Synergon Hotels has sold Grand Hotel Plovdiv to local SVS for 22.8 million euro. Total trading turnover on the BSE regulated market increased to 428,000 levs ($247,000/219,000 euro) on Monday from 106,000 levs in the preceding trading session.